Get five of our popular apps, in a single fun-filled bundle! Celebrate with these five holiday themed apps in a single fun-filled bundle, for one low price of $4.99 – That’s a savings of $2.96! NightLights: Use NightLights to frame your display with colored lights, or create lighted scenes with your own photos, and backgrounds. NightLights Christmas Stickers: Decorate your iMessages with bright, shiny lights! Make your texts festive! NightLights Christmas Stickers comes with C7, Mini, and novelty shaped light bulbs that blink! Fireworx Stand: Fireworx Stand is realtime particle animations of fireworks, with realistic sparks, fire, smoke, and authentic sound effects! Light fireworks on the fly, or create synchronized fireworks shows, complete with music! Spooked! : Choose from six spooky characters that you tell what to say! Using your device’s built-in sensors, Spooked can be activated by touch, sound, or movement. Bobby Bat Stickers: Show your love of Bats with these cute iMessage stickers of Bobby Bat and friends! Five animated Bat stickers and includes a total of 18 stickers. Fireworx Stand 2.5 Now Available! UPDATED! Get Ready for the Fourth with Fireworx Stand! With July 4th just around the corner, I’m pleased to announce Fireworx Stand 2.5! Available for iPad, iPhone, and iPod Touch on the App Store! Fireworx Stand brings a festive mood to your devices! These pyro-tastic delights burn cool, so they won’t burn you, or your screen! Fireworx Stand is realtime particle animations of fireworks, with realistic sparks, fire, smoke, and authentic sound effects! Four new fireworks effects! Heart Throb, Butterflyz, Big Log, and Old Glory. Updated the artwork with colorful new images. Redesigned toolbar to display text for clarity. Recoded from the ground up using the powerful Swift language. UPDATE: Fireworx Stand 2.5 for OS X El Capitan Also Available! Enjoy Fireworks on your Mac as well as all your iDevices! UPDATE: Fireworx Stand for Apple TV Available! Now with your purchase of Fireworx Stand for iOS, you also get Fireworx Stand for tvOS! Enjoy the big screen experience on your HD TV! It’s July! A time for everyone to start enjoying fireworks! Go out to your local fireworks stand and stock up for this Saturday! It’s going to be a real blast! If fireworks aren’t available in your neck of the woods, or if you just want to enjoy fireworks anywhere, anytime, then you should download Firework Stand! Available for Mac, iPhone, and iPad! These fireworks use authentic fireworks sounds, and are specially formulated to not burn you, or your device! 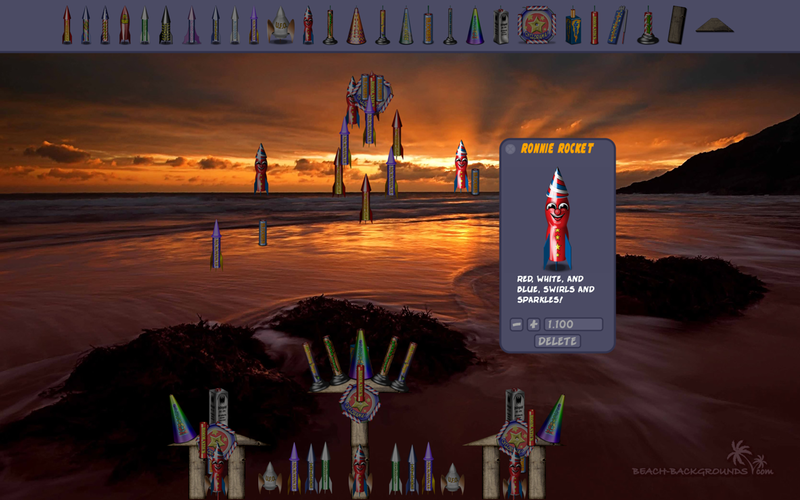 You can interact with them in real time, and build digital fireworks shows! This Fireworks Stand is OPEN! Start getting your fireworks fix early with Fireworx Stand! Available for Mac, iPhone, and iPad! Here’s a beautiful mountain backdrop to load into Fireworx Stand! The holiday season is fast approaching! Get ready to celebrate with these five holiday themed apps, for one low price of $3.99 – 33% off the regular price! Any holiday or occasion, Fireworx Stand brings a festive mood to your iPad, iPhone, or iPod Touch! Guide an adventurous Bat through a beautiful and curious underground world! 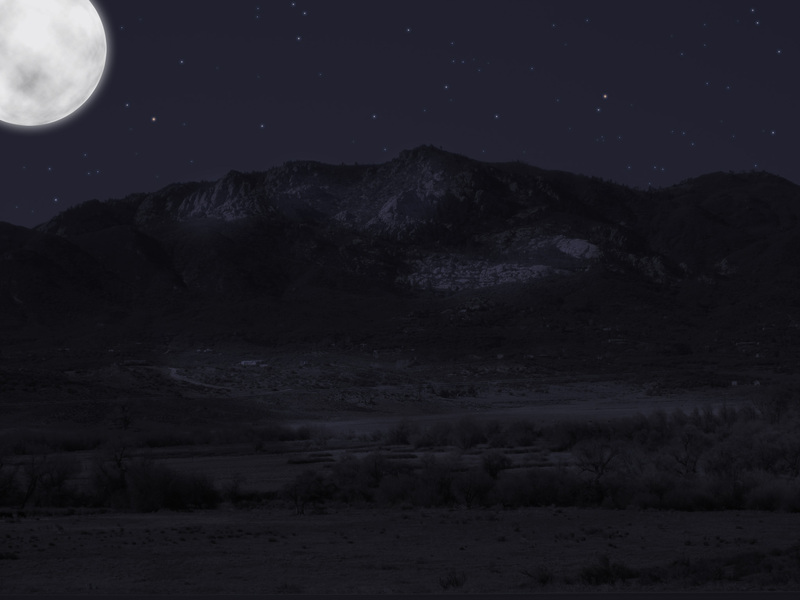 Turn your iPad into a Virtual Poltergeist with Spooked! Decorate your device with bright, shiny lights! Celebrate winter with your very own digital snowman! Fireworks are fun, anytime of the year! Available for Macintosh on the Mac App Store, and iPad, iPhone, and iPod Touch on the App Store! Fireworx Stand brings a festive mood to your Mac, iPad, iPhone, or iPod Touch! These pyro-tastic delights burn cool, so they won’t burn you, or your screen! Fireworx Stand is realtime particle animations of fireworks, with realistic sparks, fire, smoke, and authentic sound effects! Tap to light, or auto ignite mode! Create your own shows on the fly, or with Layout Mode! Save and load your show for later playback! Universal Binary on mobile devices! Now runs on iPad, iPhone, and iPod Touch! Watch the Fireworx Stand 2.0 demo video! Fireworx Stand is always open! Launch Fireworx Stand 2.0 for Mac, iPad, iPhone, or iPod Touch. Bring up the Toolbar, and choose a photo backdrop by tapping on the film roll icon. This step is optional. Choose a song by tapping on the load music icon. Tap the Play button, and choose Record. Your song will begin to play. Any tap on the screen will add a new firework to your show, and set it’s ignition time. Tap the Stop button when you are done. To playback your show, just tap the Play button. Fireworx Stand 2.0 is Here! With July 4th just around the corner, I’m pleased to announce Fireworx Stand 2.0! Available for Macintosh on the Mac App Store, and iPad, iPhone, and iPod Touch on the App Store! Fireworx Stand brings a festive mood to your Mac, iPad, iPhone, or iPod Touch! These pyro-tastic delights burn cool, so they won’t burn you, or your screen! Fireworx Stand is realtime particle animations of fireworks, with realistic sparks, fire, smoke, and authentic sound effects! Recoded from the ground up, with an all new simpler interface, that puts everything at your fingertips! 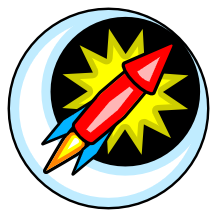 All fireworks have been reformulated using SpriteKit particles, and have physics properties! 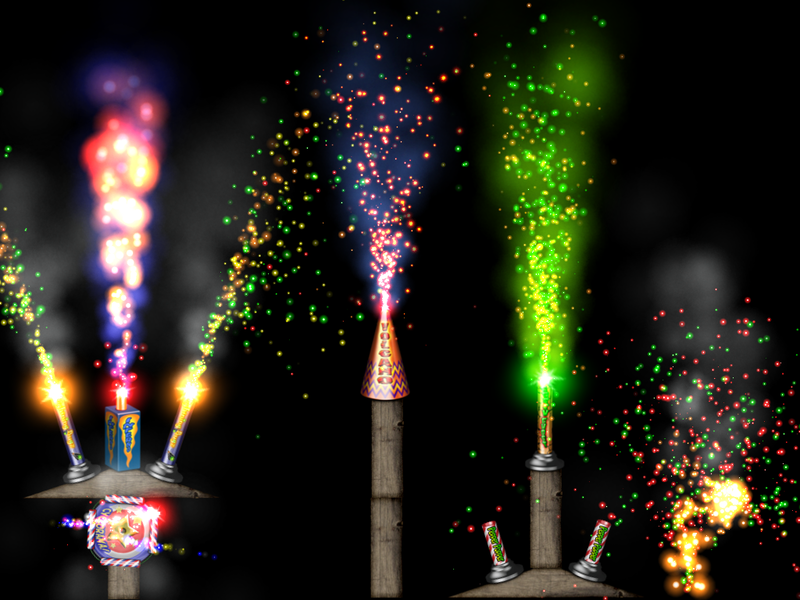 Added seven new exciting fireworks effects, including a large firecracker! Now you can create synchronized fireworks shows with Layout Mode, or record them on the fly! Save and load fireworks shows. Fun Stuff for the Holiday! Enjoy these great games and apps! Memorial Day weekend is fast approaching! Now’s the time to stock up on some fun and games! Help an intrepid Bat through a never ending maze for fortune, and glory! Download for FREE! Not just one, but two Bat Games! Guide an adventurous Bat through a beautiful and curious underground world! Download for FREE! Use NightLights to frame your display with colored lights, or create lighted scenes with your own photos, and backgrounds. Download for only $0.99! 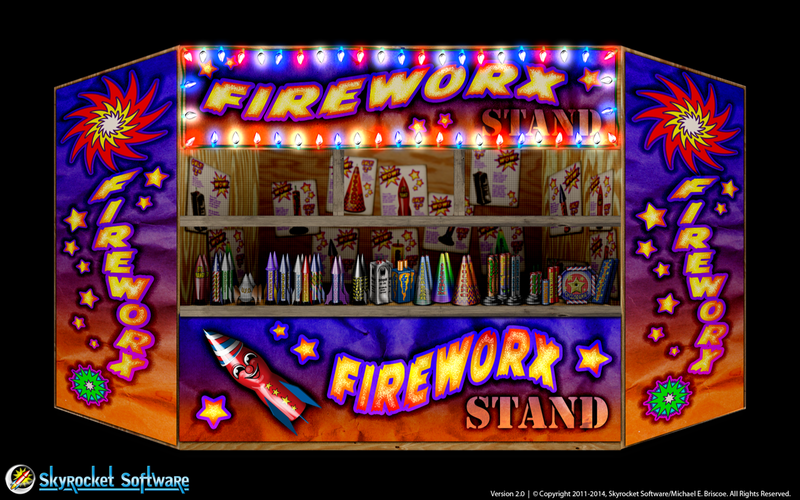 FireworX Stand is realtime particle animations of fireworks, with realistic sparks, fire, smoke, and authentic sound effects! Version 2.0 coming soon! Download for only $0.99!